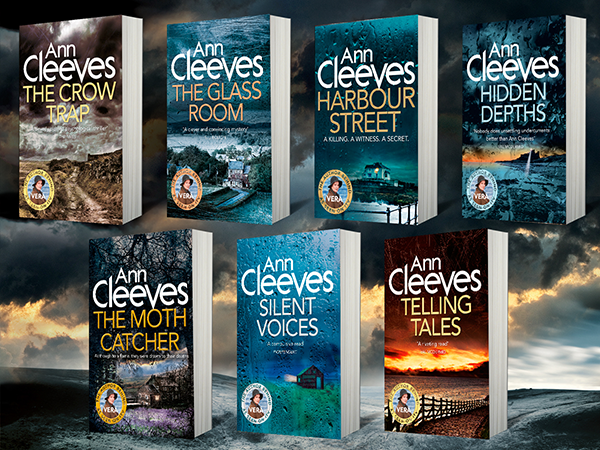 The seventh series of Vera returns to our screens on Sunday 19th March, and to celebrate, we're giving you the chance to win all the Inspector Stanhope novels by Ann Cleeves. The seventh series of Vera returns to UK screens on Sunday 19th March 2017 on ITV. 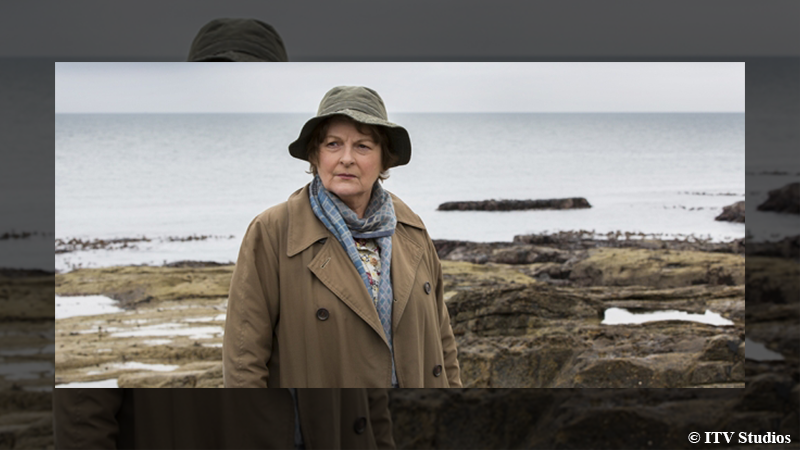 Award-winning actress Brenda Blethyn stars as DCI Vera Stanhope, with Kenny Doughty (DS Aiden Healy), Noof McEwan (DC Hicham Cherradi) and Jon Morrison (DC Kenny Lockhart). The ITV drama is based on the bestselling Inspector Stanhope novels by Ann Cleeves and we're giving you the chance to win the all the books. To enter, just answer the question below. The competition ends at midday on Friday 24th March 2017. You must be a resident of the UK and over 18 years old to enter. Please read the terms and conditions below. Question: Which actress plays Ann Cleeve’s Vera Stanhope in the ITV drama? Required form 'VeraSeason7Comp' does not exist. Please read these terms and conditions carefully. By entering into this Vera Stanhope novels competition (“Promotion”), you agree that you have read these terms and that you agree to them. Failure to comply with these terms and conditions may result in your disqualification from the Promotion. 4. The Promotion is open for entries between 12:00 on Friday 10th March 2017 and 12:00 on Friday 24th March 2017. 1 x The Crow Trap (paperback); 1 x Telling Tales (paperback); 1 x Hidden Depths (paperback); 1 x Silent Voices (paperback); 1 x The Glass Room (paperback); 1 x Harbour Street (paperback); 1 x The Moth Catcher. 10. The prizes shall be awarded as follows: One winner will chosen at random from the submitted entries, via a randomised computer selection process. 11. Ownership of entries: You confirm that your entry is your own original work, is not defamatory and does not infringe any laws, including privacy laws, whether of the UK or elsewhere, or any rights of any third party, that no other person was involved in the creation of your entry, that you have the right to give Promoter and its respective licensees permission to use it for the purposes specified herein, that you have the consent of anyone who is identifiable in your contribution or the consent of their parent, guardian or carer if they are under 18 (or the applicable age of majority), it is lawful for you to enter and that you agree not to transfer files which contain viruses or any other harmful programs. 12. The winner(s) of the Promotion shall be notified as follows: by email correspondence within five  working days of the competition closing date. 13. The winner(s) will be required to confirm acceptance of the prize within seven  working days and may be required to complete and return an eligibility form stating their age and residency details, among other details. Promoter will endeavour to ensure that winner(s) receive their prizes within thirty  days of the date they confirm acceptance of the prize. If a winner does not accept the prize within seven  days of being notified, they will forfeit their prize and Promoter reserves the right to choose another winner(s). Promoter’s decision is final and Promoter reserves the right not to correspond on any matter. 15. You can find out who has won a prize by sending a stamped addressed envelope, marked with the name of the competition to Vera Stanhope Novels Competition, Pan Macmillan, 20 New Wharf Road, London, N1 9RR, 30 days after the closing date. 16. Promoter reserves the right to cancel or amend these Terms and Conditions or change the Prize (to one of equal or greater value) as required by the circumstances. No cash equivalent to the Prize is available. The Prize is non-transferable.